We’ve all heard the news in the last 24 hours: Studio Ghibli is taking a brief break from producing anime in order to do a reshuffle of the company. This news has got many people speculating just what would happen if Studio Ghibli really did shut up shop. Studio Ghibli was the introduction to anime for a lot of people. Admittedly, it wasn’t for me as I was introduced to anime through Pokémon, Digimon, and CardCaptors. Even though I didn’t get into anime because of Studio Ghibli I still remember the first time I saw one of their films. The first of their work I ever saw was Spirited Away, which I fell in love with very quickly. 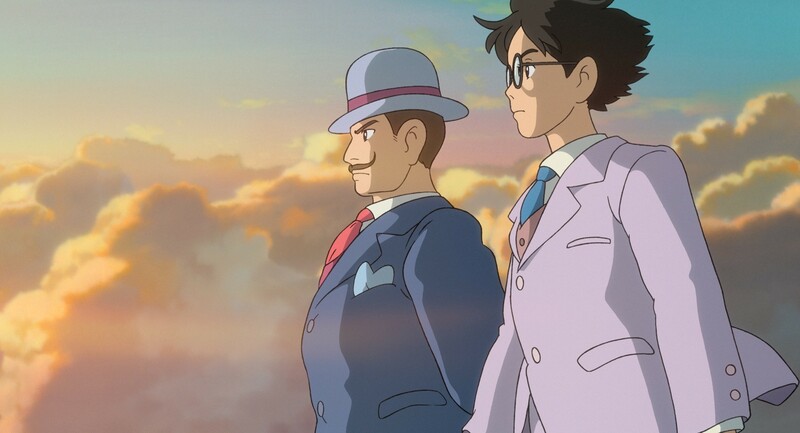 After seeing Spirited Away I made the effort to seek out every other Studio Ghibli film and found firm favourites in the likes of Howl’s Moving Castle, My Neighbour Totoro and The Wind Rises, which I reviewed for the site not long after getting to see it. I love Ghibli movies, what else can I say, but despite this I’m not personally too upset by the idea of them closing. 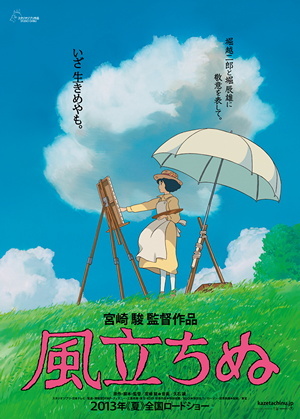 This entry was posted in Anime, Anime Features, Features and tagged Anime, Arrietty, Features, From Up on Poppy Hill, Goro Miyazaki, Grave of the Fireflies, Hayao Miyazaki, Howl's Moving Castle, Isao Takahata, Kiki's Delivery Service, My Neighbour Totoro, Princess Mononoke, Spirited Away, Studio Ghibli, The Cat Returns, The Wind Rises, When Marnie Was There, Whisper of the Heart on 4th August 2014 by Demelza Ward. Late last night a rumour went around that Studio Ghibli were closing their production department. Since then a source for the news has been found. Although it doesn’t strictly say the studio are stepping away from making films, it doesn’t really give us too much hope that they won’t either. This entry was posted in Anime, Anime Reviews, News and tagged Hayao Miyazaki, Jonetsu Tairiku, News, Studio Ghibli, TBS, Toshio Suzuki on 4th August 2014 by Demelza Ward. The Wind Rises marks the first time I’ve seen a Studio Ghibli movie on the big screen. Considering that it’s the last film from the studio to be directed by Hayao Miyazaki it seems fitting that this be the title I see on the big screen. The film is currently being released in UK cinemas, so I went along to Leeds screening to see what the film was all about. The studio has a rich history of turning out visually striking films that capturing the audience with heart warming tales. From more simple slice of life tales like My Neighbour Totoro to more somber affairs like Princess Mononoke, whatever Miyaskai puts his hand too generally turns out a masterpiece in its own right. So, with such a rich history behind it and an director taking his last stand, just how does The Wind Rises measure up? This entry was posted in Anime, Anime Reviews, Reviews and tagged Anime, Hayao Miyazaki, reviews, Studio Ghibli, The Wind Rises on 13th May 2014 by Demelza Ward.